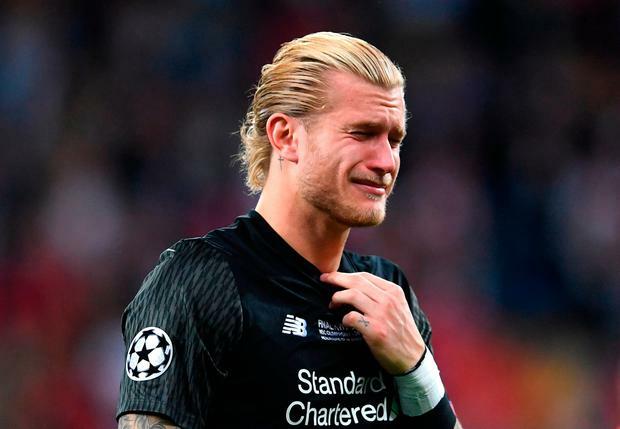 Merseyside Police are investigating death threats made to Liverpool goalkeeper Loris Karius after he conceded three goals in the Champions League final. German-born Karius and his family have been the focus of hundreds of threats and hate messages on social media after making several mistakes that resulted in goals for the Real Madrid. Posts from Liverpool fans included a comment saying, "I’ll murder your girl I’ll murder your girl". Others said his “sons deserve to die of cancer” and “I hope your whole family dies”. A spokeswoman for Merseyside Police told The Telegraph officers were investigating the vile abuse, and added: “The force takes social media posts of this nature extremely seriously and any offences identified will be investigated. During the game, which was won by Real Madrid 3-1, Karius threw the ball directly towards Real Madrid striker Karim Benzema who promptly scored. He also fumbled a shot from the Real Madrid winger Gareth Bale, which resulted in another goal for the Spanish team. After the game Karius apologised for his two mistakes. "Today I lost my team the game and I feel sorry for everyone - from the team, from the whole club - that the mistakes cost dearly,” he said. "If I could go back in time I would. I feel sorry for my team. I know I let them down today. These goals cost us the title basically. "It's very hard right now but that's the life of a goalkeeper. You have to get your head up again." When asked how his team had responded to his performance he said: "Of course everyone tried to cheer me up. "But there was just silence everywhere because everyone was really disappointed." The next day he posted on Twitter: "Haven’t really slept until now... the scenes are still running through my head again and again... I'm infinitely sorry to my teammates, for you fans, and for all the staff. I know that I messed it up with the two mistakes and let you all down..."
His post racked up more than 59,000 "likes" in less than an hour and nearly six thousand comments, which were mainly messages of support. Liverpool fans also issued hate messages to Sergio Ramos focussing on a collision between the Real Madrid captain and Liverpool’s star striker Mohamed Salah. Salah dislocated his shoulder after the two players tumbled to the ground and had to be substituted for Adam Lallana after 30 minutes. ...Thank you to our unbelievable fans who came to Kiev and held my back, even after the game. I don't take that for granted and once again it showed me what a big family we are. Thank you and we will come back stronger.